Do you love ghost stories, or traveling to haunted places? If you’re a travel nurse with a penchant for the supernatural, you’re in for a treat! Halloween is just around the corner, so it’s the perfect time to visit one of these 7 spectacularly spooky places during your travel nurse adventures. 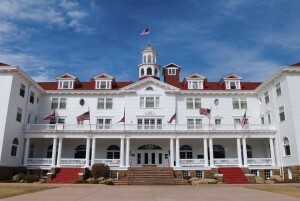 The Stanley Hotel has had a long history with ghosts. Flora Stanley, the hotel’s original owner, is said to haunt the ballroom and play her piano at night. The Stanley Hotel, Estes Park, CO: This famous hotel is best known as the inspiration behind The Shinning. Built in 1909, the hotel first gained its ghostly reputation after a chambermaid was electrocuted in Room 217. Guests, including Stephen King, have reported strange happenings, such as belongings being unpacked, lights turning off and on, and hearing children laughing in vacant halls. Staff members and guests alike have also heard piano music playing in the empty ballroom. You can sign up for the Stanley’s day or evening tours here. Whaley House, San Diego: The Whaley House has been many things during its long life. Most notably, the site was once San Diego’s first public gallows. It now operates as a museum, and uses its spooky status to its advantage. If you visit, you just might run into the ghost of “Yankee Jim” Robinson. He was a convicted thief who died there by hanging four years before businessman Thomas Whaley built the house in 1856. However, that didn’t stop the city from converting the mansion later into San Diego’s first commercial theater, courthouse, and general store. Trans-Allegheny Lunatic Asylum, Weston, WV: Built in the 1880s to serve the mentally ill, this now abandoned facility is reportedly one of the most haunted places in America. If you visit this grim place, you’ll be grateful you were never a patient during its heyday. Treatments ranged from electroshock therapy to lobotomies. Daytime and evening tours are available for those seeking a brush with the paranormal. Lizzie Borden Bed & Breakfast, Fall River, MA: Lizzie Borden was accused of murdering her father and stepmother in 1892. She was later acquitted of the infamous crime, but the murders were never solved. The mystery surrounding the murders still brings visitors to the home today, which now operates as a bed and breakfast. According to this attraction’s website, you can sleep in the very rooms where the crimes took place, host a séance, or search for spirits on a ghost tour. Waverly Hills Sanatorium, Louisville, KY: This famously haunted hospital is sure to scare even the most skeptical travel nurse. Waverly Hills once served as a tuberculosis sanatorium, where thousands of patients succumbed to the dreadful disease or the painful attempts at a cure. According to legend, one nurse committed suicide in Room 502. Today, several ghost hunters and visitors have claimed to experience unexplained phenomenon, like suddenly feeling cold, hearing slamming doors, and seeing ghostly apparitions walk across hallways. Want to visit? Click here to plan your trip! Villisca Ax Murder House, Villisca, IA: If you’ve ever visited southwest Iowa, you may have heard about the Villisca Axe Murder House. More than a century ago, eight people were brutally murdered there with — yep, you guessed it — an axe. The crime was never solved, and visitors now claim the victims’ ghosts can be seen hanging around the house. Wherever you decide to celebrate, Travel Nursing Central wishes you a happy and healthy Halloween! This entry was posted in Travel Nursing and tagged best spots for travel nursing in the fall, featured, travel nursing by TNC. Bookmark the permalink.